In 1932 the governments of Canada and the United States designated Glacier and Waterton Lakes National Parks the world’s first peace park. 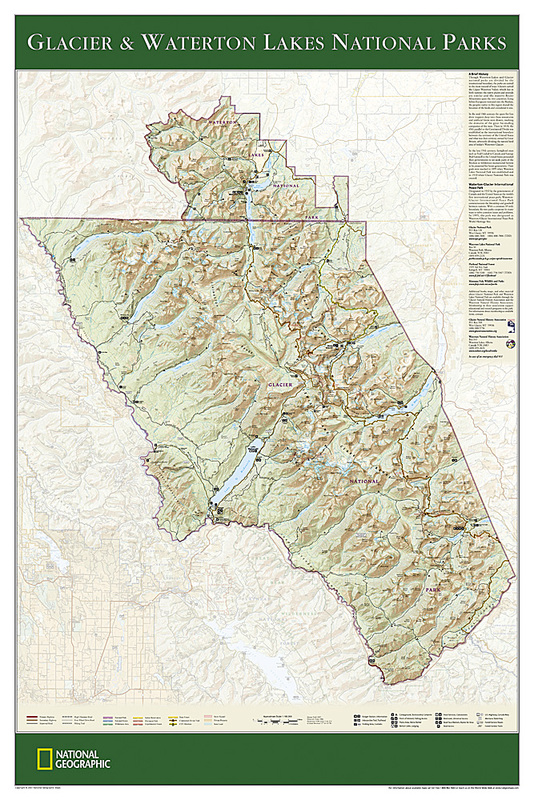 This detailed topographic shaded relief map gives a brief history of its creation and also includes agency information. Perfect for just about any wall. Size is 24″W X 36″H.